Marvellous card. Such a cute image and lovely papers. 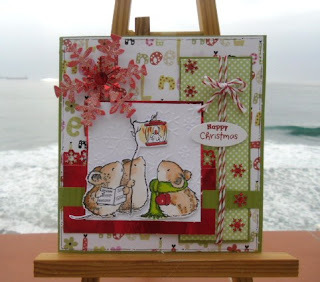 Oh my word Sylvie this is awesome I love the image you have used also the wonderful papers and embellishments this is the tops, I love it. Hi Sylvie, love your card hun. This image is soo cute and love the papers and detail. I've managed to get this one done but am still two behind, just not enough hours in the day.